In this world Africa is much more prosperous and has a significantly higher population than the Africa of the real world in the present day . It has been colonised by Europeans and Indians since much earlier than was the case in the real world. This is at least partly assisted by the greater development of tropical medicine in this world compared to the real world. There are a number of small states in the interior of Africa which have managed to maintain their independence from all of the great powers of the world. This has been via a combination of luck, in that they lack things that would make it worth their while to be taken over, and skill in balancing the various powers against one another to keep them free of outside control. Some of them are Muslim Sultanates. Others are Christian states. Both of these often have societies influenced by the great powers. Others maintain the old tribal ways and the old tribal religions against the best efforts of the outside world to intrude on both. In recent years rumours have begun to surface that some of the small African states are under the covert control of the Freetraders or other organised crime groups. There are a number of railways and railway systems used in Africa. In particular the Ottoman Empire has a number of lines running east-west through North Africa, and a major railway line running down East Africa from Egypt to the southern tip of the African continent, and linking to the Brasealean Estrada de Ferro Portuguesa de Congo [Portuguese Congo Railway]. A state controlling the Horn of Africa and covering real-world Ethiopia, Eritrea and Somalia as well as parts of southern Sudan and northern Kenya, Abyssinia is ruled by the Neguse Negest ze-'Ityopp'ya (King of Kings of Ethiopia), the royal line of the Solomonic Dynasty of Abyssinia which stretches back to the year 1270. The overall system of government of Abyssinia is a Duocracy inspired by that of the Mughal Empire, with the power of the King balanced by that of the Abyssinian nobility. Along with Oman it controls access to the Red Sea. Abyssinia completely surrounds the Brasealean, Anglo-Danish and French enclaves of Moqadisho, Ogaden and Somalie. Abyssinia is a regional power with a significant military and trading links around the world. In particular it is the largest producer of coffee in the world and dominates the world coffee trade. It also earns significant income from its own industries as well as from the sale of its abundant mineral resources around the world and energy from its large hydroelectric generating facilities to its neighbours. Abyssinia is officially a Coptic Christian country under the Ethiopian Orthodox Tewahedo Church. However, it is also tolerant of other beliefs, so that there are large minorities of other denominations of Christianity as well as Muslims, Jews and the followers of various traditional African religions. The official language of Abyssinia is Amharic, though many other languages are spoken in the country. Amharic is written in the Ge'ez alphabet. The currency of Abyssinia is the Birr, equivalent to the Dakshina Nad Rupee on a one for one basis. This is divided into twenty Ghersh or thirty-two Bessa. The capital city of the Empire is Gondar, and it is here the Emperor has his court. Abyssinia uses its own calendar, the Ethiopian Calendar. 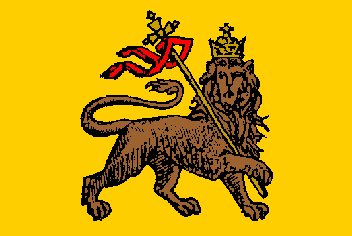 The flag of Abyssinia consists of the Lion of Judah on a red and gold background, the traditional colours of Gondar. Formerly the French colony of Algeria, with help from the Anglo-Danish Empire and Portugal Al-Jazair broke away from France after a long and bloody struggle during the Long War and is now an independent Islamic nation. Despite being helped to gain its freedom by members of the One Truth bloc, its independent government has made efforts to distance itself from them and ally itself with the Ottoman and Mughal Empires. This has led to some bad feeling on the part of France with whom the Ottomans and Mughals were allied at the time. The head of state of Algeria is the Dey, a constitutional autocrat who rules the country with the aid of his council of state, the Divan. The Deys of Al-Jazair are appointed by the Divan from among the most powerful families of the country. The system of government in Al-Jazair is a Duocracy based on that in place in the Mughal Empire. Although they have suffered quite a lot of economic dislocation because of the cutting of ties to France, on which the former province of Algeria was very dependant, as well as problems with both pro-French and Muslim extremist elements of the population, Al-Jazair has become a reasonably prosperous, largely secular, Islamic state. Although most of the French-descended population left when Al-Jazair broke away from France, a significant minority of French-descended people remain in Al-Jazair. Many of them are among the more virulently anti-French of the population. The capital of Al-Jazair is the city of Algiers. A West African nation covering much of real world Ghana, Togo and Cote d'Ivoire. Despite the European and Indian colonisation of Africa the Ashantee Confederacy continues to be ruled by its native people, who have been able to retain their independence by playing Europeans and Indians against one another over a long period, in particular to gain industrial and military training and assistance which has allowed them to advance by their own efforts. As a country the confederacy is a centralised bureaucratic nation run from the capital city of Kumasi under its head of state, the elected monarch known as the Asantehene. Under the Asantehene the country is divided into regions run by Obirempon who are each appointed by the Asantehene. In terms of its overall political system the confederacy is a Duocracy. The Ashantee are also highly nationalistic and highly militarised. Much of this militarisation organises and provides structure to the Ashantee state, but the services of Ashantee mercenaries also bring considerable income to the country. Ashantee military prowess has caused a few skirmishes with its neighbours, although nothing that has threatened the nation with invasion. It has also led to the Ashantee coming to dominate a number of its smaller independent neighbours, to the point that two of them are now little more than satellite states. The Ashantee Confederacy is a diverse mixture of African peoples and groups. However, it is highly unified politically and culturally, to the point that religiously it is very much a One Truth nation, within its own borders holding strongly to its traditional beliefs based around ancestor worship. Despite this, contact with the outside world has led to it having significant Muslim, Christian and other minorities, a situation which the government tolerates because it wishes to avoid offending its more powerful neighbours, but discourages among the people. Because of its position between European and Indian powers, the Ashantee provide a useful neutral ground for trade and other interactions between the powers of the world. 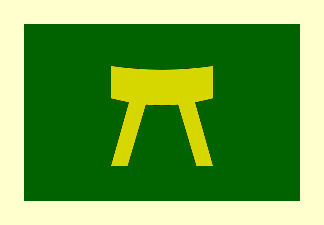 The flag of the Ashantee Confederacy consists of a green field, representing the land with a cream (ivory)-coloured border representing its wealth. In the centre of the flag is a golden image of the Sika 'dwa, the royal throne which forms the symbol of the Ashantee and which is believed to house the spirit of the entire Ashantee nation. A French colony located in west Africa based around the former Kingdom of Dahomey, it forms part of France-Outre-Mer. As an independent nation Dahomey was heavily involved in the slave trade, and thus very unpopular with its neighbours, which made it more and more dependant on French aid to survive, via the French trading posts on its coast. This led to the eventual French takeover of the country. The French abolished the worst aspects of the old kingdom, such as human sacrifice and, eventually, slavery, and renamed the country as a way of breaking ties with its unsavoury past and placating all of the diverse ethnic groups within the country [much the same as in the real world]. Benin is still well-known for its strongly militarised society, with troops from Benin serving as part of the French military around the world, and France having a number of significant military bases in the country. In particular the elite female soldier corps known as Le Bénin Amazone [the Benin Amazons], who date back to the Kingdom of Dahomey, are known around the world, and troops from Benin are still honoured for their contribution to the French war effort in the Long War. A French colony located in the southern tip of Africa, it is part of France-Outre-Mer. With a large Dutch minority, Bonne Espérance is run along quite authoritarian lines, and has a fairly high population. Beyond this, Bonne Espérance is maintained by France to allow access to the resources of Southern Africa, to counterbalance the Anglo-Danish colony of Natal, and to maintain a military presence in the region of the Indian Ocean. A Brasealean colony located in south-western Africa founded based on the explorations of the Portuguese explorer Cristóvão da Silva Ferreira. Its capital is the city of Cabinda on the Atlantic coast, which forms the western end of the Estrada de Ferro Portuguesa de Congo [Portuguese Congo Railway] across southern Africa. Its economy is based on agriculture and the mining of its abundant mineral resources. One of the nations making up the Dakshina Nad. It is described in more detail there. An Anglo-Danish colony located in west Africa, it is a Dominion run from London by a government-appointed President and their advisory council. When the Dominion was established, the Royal Universal Company has a monopoly on most trade and industry there. However, objections of the local people and events in Nigritia led to a modification of their policies that reduced the monopoly enough to keep the local people happy while retaining most of their power in the Dominion. The Mughal Subah (province) in south-western Africa [roughly equivalent to Namibia in the real world], Ghobararazi (the Land of Fog) is a dry, largely infertile land most of whose income comes from the mining, processing and export of its abundant minerals. Since the development of nuclear power it has also become significantly industrialised, using nuclear power to run factories and desalinate sea water. The capital of Ghobararazi is the city of Ummidabad [Walvis Bay], named after the Mughal Emperor Ummid Akhtar. The population of Ghobararazi is a mixture of Africans and Indians. Giâhrarazi (the Forest Coast) is the Mughal Subah (province) in south-eastern Africa [roughly equivalent to southern Mozambique and north-eastern South Africa in the real world]. Originally founded by both Mughal and Dakshina Nad traders, over time it has evolved into an entirely Mughal region. Its capital is the city of Sipirabad. The Mughal Subah (province) in western Africa [roughly equivalent to Benin, parts of western Nigeria and Niger, and parts of eastern Mali in the real world], Jangalarazi (Forest Land) is the part of the Mughal Empire furthest from India. Jangalarazi was founded by merchants wishing to trade for gold, metal ores, diamonds, ivory, pepper, timber, corn and cocoa. Since then it has developed into one of the most cosmopolitan places on Earth with a vibrant mixture of Indian, European and African cultures and likewise what is considered to be the best cuisine on Earth, combining influences from all over the world. Many of the cities of Jangalarazi have grown up around fortifications constructed for protection during the long-running skirmishes between Indian and European shipping and colonies in the late eighteenth and nineteenth centuries. Even now the Subah remains quite heavily militarised with large naval bases on the coast, as well as significant intelligence assets there to monitor the activities of its neighbouring nations and colonies. A Brasealean client state in central southern Africa, Luba lies on the Estrada de Ferro Portuguesa de Congo [Portuguese Congo Railway] across southern Africa. Luba has, since it was founded, evolved a form of a government durable enough to withstand the disruptions of succession disputes and flexible enough to incorporate foreign incursions. It is based on the principles of sacred kingship and rule by council. The head of state is the Mulopwe [King] who is assisted by a court of nobles known as Bamfumus. Under them the Mulopwe reigns over his subjects through clan kings known as Balopwe. Despite unsuccessful attempts by Portugal to take control of Luba, the country was forced to sign treaties with Portugal, placing itself under its protection, as a better option than being taken over by either Oranjestaat and Xhosaland in the south or Zanj to the north. Since then Luba has become a reasonably prosperous nation under the wing of Portugal, with Portugal helping them develop in return for access to the rich mineral wealth in the Katanga region shared between Lunda and Luba, which Portugal sells around the world. Over time many of the children of the rulers of the Luba have come to be educated in Portugal and Braseal. Because of this Luba has, over time, adopted a number of Brasealean institutions such as elements of their legal system, the Portuguese language for official business, and the Catholic Church, although traditional beliefs are also common among the people of Luba. A Brasealean client state in central southern Africa, Lunda lies on the Estrada de Ferro Portuguesa de Congo [Portuguese Congo Railway] across southern Africa. The Lunda use a system of government based on the principles of sacred kingship and rule by council adopted from that of the Luba. Despite unsuccessful attempts by Portugal to take control of Lunda, the country was forced to sign treaties with Portugal, placing itself under its protection, as a better option than being taken over by either Oranjestaat and Xhosaland in the south or Zanj to the north. Since then Lunda has become a reasonably prosperous nation under the wing of Portugal, with Portugal helping them develop in return for access to the rich mineral wealth in the Katanga region shared between Lunda and Luba, which Portugal sells around the world. As in Luba, over time many of the children of the rulers of the Lunda have come to be educated in Portugal and Braseal and because of this Lunda has, over time, adopted a number of Brasealean institutions such as elements of their legal system, the Portuguese language for official business, and the Catholic Church, although traditional beliefs are also common among the people of Lunda. A colony in south-western Africa originally founded by merchants from the Dakshina Nad, but exchanged with the French in 1962, during the Long War, in return for French assistance against the One Truth Alliance. Despite now being French it still has a great deal of Indian-descended culture, population and expatriates. Because of its recent acquisition by France, Mataman is not yet part of France-Outre-Mer, and its people are not directly represented in the French government. It is hoped that when the time is right Mataman will join France-Outre-Mer as other French colonies have. Because of its mixed French and Mughal background, since being taken over by France Mataman has developed a very cosmopolitan mixed Euro-Indian culture. The northernmost of Braseals colonies in the Indian Ocean, Moqadisho was founded in 1872 as a trading post for the Indian Ocean and Middle East. It adjoins Anglo-Danish Ogaden and like it consists of a trading port and a small military presence. A French colony in north Africa, which they have owned since their takeover of the Sultanate of Morocco in 1831, it forms part of France-Outre-Mer and as such is counted as part of France. Its territory includes the former Spanish enclaves of Ceuta and Melilla, which were purchased from Spain in 1931. There has been significant French immigration to Morocco, to the point that the number of people of French descent almost equals those of native Moroccan descent. A Brasealean colony located in south-eastern Africa. Its capital is the city of Lourenço Marques [Pemba], named for Lourenço Marques, the Portuguese trader who was the first European to explore the area in 1544. Lourenço Marques also forms the eastern end of the Estrada de Ferro Portuguesa de Congo [Portuguese Congo Railway] across southern Africa. An Anglo-Danish colony located in the southern tip of Africa, it is a Dominion run from London by a government-appointed President and their advisory council. Sparsely populated, Natal is maintained for a number of reasons, including national prestige, access to the resources of southern Africa, particularly those of Luba, Lunda and Oranjestaat, and also to allow the Anglo-Danish Empire to maintain a military presence in the Indian Ocean (even if only a token one). Most of the industry and utilities of Natal form part of the Royal Universal Company. Natal is the most strictly controlled of all of the Anglo-Danish dominions following its attempted secession to the Mughal Empire in 1970, led by many disaffected members of the population. These strict controls on life there have not succeeded in damping anti-England-Denmark feeling, however. An Anglo-Danish colony located in west Africa, it is a Dominion run from London by a government-appointed President and their advisory council. When the Dominion was established, the Royal Universal Company had a monopoly on most trade and industry within Nigritia. However, the objections of the local people to this quickly led to the establishment of flourishing black and grey markets in the Dominion, providing goods and services outside of the Royal Universal Company monopoly. This led to unrest and an uprising that broke the company monopoly in the Dominion, though the Royal Universal Company does remain very powerful there, gaining a great deal of income from the rich oil resources of the delta of the river Niger. As a side effect of the black and grey markets established during the monopoly period, organised crime became powerful in Nigritia and has, because of the power and influence it gained during that time, remained powerful even after the monopoly ended. These criminals, who grew out of the many secret societies of West Africa and who still retain many of the beliefs and rituals of those societies, are known as Freetraders. Over time they have also extended their influence to the other Dominions of the Anglo-Danish Empire, and from there around the globe to the extent that by the present day Nigritian Freetraders are the most visible form of organised crime in the world. The only Anglo-Danish colony in the Indian Ocean, founded in 1872 as a trading post for the Indian Ocean and Middle East, it adjoins French Somalie and Brasealean Moqadisho, all of which lie entirely within Abyssinia. Ogaden is not a Dominion, but instead consists of a trading port and a small military presence. Ogaden is rumoured to be a hotbed of espionage activity, and certainly has a rather large Russian expatriate population. Ogaden remains a colony and does not have the greater status of a Dominion. A Dutch-descended Vrijdenkerij [atheist] monarchy in southern Africa, whose head of state is King William VI of the Dutch House of Orange. Oranjestaat became a Kingdom following the takeover of the Netherlands by Prussia in 1864, when Prince William VIII insisted on being crowned as King William I of the Netherlands rather than Stadtholder. Because of this King William VI is also the King-in-Exile of the Netherlands. The government of Oranjestaat is a Sophocracy. As such the nation is secular, meritocratic and technocratic. The general opinion of the government and people of Oranjestaat is that it is the last bastion of Dutch society and the spirit of the Netherlands. Because of its system of government Oranjestaat does not (in law at least) discriminate against any of its citizens, either racially or sexually. Oranjestaat is the most major of the three Dutch states in the world (the others being Nova Holland and Van Diemens Land in Marege [Australia]). Although sharing a common origin, because of its Sophocratic system of government Oranjestaat has not got on with either Nova Holland or Van Diemens Land for a long time. Oranjestaat is closely allied with the neighbouring Xhosaland, for mutual trade and defence. Because it is surrounded by what are perceived as enemies, Oranjestaat is very heavily militarised and heavily industrialised. They supply minerals and so on to all of the British, French and Mughals under a Triple Treaty with and against them all. This treaty was signed after a period of intermittent wars during which the British, French and Mughals found it was easier to pay for the resources they wanted rather than fighting for them. The capital of Oranjestaat is the city of Oranjeburg [on the site of real world Gaborone, in Botswana]. Oranjeburg houses the headquarters of the Freethought Alliance and since 1953 Oranjeburg has also been the headquarters of the Oikoumene Council, after it was forced from its former headquarters at Shiraz in Persia due to the Long War. The currency of Oranjestaat is the Gulden [Guilder], as in the Netherlands before they were taken over. This is divided into 20 stuivers, each of 8 duit or 16 penning. Other units of currency include the daalder of one and a half gulden (30 stuivers) and the rijksdaalder of two and a half gulden (50 stuivers). The Oranjestaat Gulden is not the same as those of either Van Diemens Land or Nova Holland, and does not have the same value as either of them when compared to other currencies. The flag of Oranjestaat is an orange, white and blue tricolour known as the Princevlag (Princes flag), identical to an older version of the Netherlands flag. A Brasealean colony located in west Africa [unlike the case in the real world, where Britain colonised the area, here Portugal did so], it is much larger than the Sierra Leone of the real world, also covering much of what is in the real world Guinea, Liberia and parts of southern Mali. Sierra Leone is rich in minerals, which form the basis of much of its economy, along with agriculture. It has significant amounts of industry devoted mainly to mineral processing and refinement, most of which is powered by a number of large hydroelectric projects, which also provide income via the selling of excess electrical capacity to neighbouring nations. The only French colony in the Indian ocean, founded in 1872 and adjoining Anglo-Danish Ogaden, it is part of France-Outre-Mer. Like Ogaden it consists of a trading port for the Indian Ocean and Middle East with an additional small military presence. There have been a number of diplomatic incidents arising out of tensions between the two nations that have almost led to the retaking of the colony by Abyssinia. The only colony of the Kingdom of Milan, located in North Africa and centred on the city of Tunis, Tunis was founded in 1816 as part of the destruction of the Barbary Pirates by France, Milan and Naples. Since then there has been significant Milanese immigration to Tunis, to the point that the number of people of Milanese descent almost equal that of those of native Tunisian descent. The Mughal Subah (province) making up the western half of the island of Malagasia [Madagascar], it was originally founded by Mughal merchants as a stopping-off point on their voyages around Africa in the early eighteenth century. Since then, despite attempts by the Dakshina Nad and various European powers to unseat them, the Mughal Empire has retained control of the western part of Malagasia. The Subah is home to a number of Mughal military bases, and this forms the basis of most of the income of the Subah, which is supplemented by a smaller income from agriculture. A nation in southern Africa with close economic and military ties to Oranjestaat, Xhosaland is the home of the Xhosa people. The Xhosa people are a mixed group, as a result of their longstanding readiness to learn from, trade and interact with other societies, as well as to incorporate or absorb entire cultural groups into themselves, often through marriage, and to adopt loan words from other into languages into the Xhosa vocabulary. As a side effect of this, by the present day there are a significant number of Xhosa of non-African extraction. The Xhosa nation dates itself back to a chief named Tshawe, who long ago united the various peoples who eventually became the Xhosa into a single national entity. Since then the Xhosa have grown and expanded, absorbing many other groups into themselves in the process. Each chiefdom is lead by a paramount Chief, whose position is established by birthright. Upon the death of a Chief the chiefdom passes to the eldest son of his first wife. If the paramount chief dies prematurely, a regent is selected to run the chiefdom until the heir is old enough to rule himself. Each paramount chief rules over several small territories, each consisting of multiple familial clans, each of which is an extended family. Each territory (and the clans within it) is ruled by a lesser chief, who may be related to the paramount or to the head of another powerful clan. Lesser chiefs are responsible for collecting taxes and providing manpower to those above them, but other than this have little contact with the paramount chief. As such they are free to resolve disputes and administer their territory as they see fit. This results in there being a great deal of variation in laws and rules within the different parts of Xhosaland. The interlocking hierarchy of chiefdoms in Xhosaland provides the means by which the Xhosa government gains consensus with and also ideas and inputs from the population as a whole. Each family group is headed by a patriarch, who makes all major decisions concerning it. Most patriarchs have multiple wives, but control of the family falls to his eldest son when the patriarch dies. For the paramount chief, this is usually the first son of the first wife, though for families with large holdings, the first born sons of other wives may also be entitled to a share of the family assets. The economy of Xhosaland is based on agriculture, mining and industry, with significant income also being generated from the sale of the services of Xhosa mercenaries around the world, and also from the sale of cattle. Wealth in Xhosaland is based on the possession of cattle, with wealth being measured by the size of one's herd. As such the management of livestock is one of the most important traditional Xhosa skills. For traditional Xhosa, marriage is impossible without cattle, as the lobola (bride price) of perhaps eight or ten cattle is paid by the groom to the father of the bride for the right to marry. Cattle are also important in religious and social ceremonies, and at particularly grand occasions a cow is sacrificed to honour the ancestral spirits. With the expansion of the Xhosa population over time, it has become impractical to continue using cattle to denote wealth. For this reason a coinage-based currency has developed, the basic unit of which is known as the Head (for head of cattle). This is used by all but the most traditional Xhosa. Xhosa society is traditionally sexist, with the Xhosa placing their women in subservient roles, responsible for most domestic chores as well as tending to crops. However, exposure to other cultures, particularly the Indian cultures of the Mughal Empire and the Dakshina Nad, and the Dutch in Oranjestaat, have led to an erosion of this, to the point where now most positions are open to women as well as to men. Xhosa women wear a unique style of beadwork and headdresses, although these have been copied by many people elsewhere. Both men and women smoke tobacco in pipes, a practise adopted from the European settlers they encountered. The Xhosa follow many religions, including their traditional religions, Christianity, Islam and Sikhism. There have been religious conflicts over this, but most Xhosa are fairly religiously tolerant. Given their cattle-based economy, there are very few followers of Hinduism among the Xhosa. Regardless of their religion, nearly all Xhosa continue to venerate their ancestors and ancestral spirits, to the point that during most religious and social ceremonies, some form of acknowledgement of them is made to honour the ancestors. Some Xhosa also continue to consult the Sangoma, a traditional medical practitioner who is a spiritual medium linking the physical and spiritual worlds, for relief of physical and spiritual ailments. Despite their religious tolerance, Xhosaland is not part of either the Dharmic or the One Truth bloc, instead remaining neutral. This does not stop their selling the services of their troops to those who can afford them on either side. The Xhosa refer to themselves as the amaXhosa. Their language as isiXhosa, although the use of other languages such as Dutch and Persian is also common in Xhosaland, and isiXhosa itself has incorporated many words from foreign languages, both European and Indian, over the years. The flag of Xhosaland is a rectangle divided into two equal horizontal bands, the upper red, representing blood, and the lower ochre, representing the soil of Xhosaland. A Sophocratic nation in south-eastern Africa encompassing most of real world Tanzania and southern Kenya, Zanj seceded from Oman in 1853. It is a cosmopolitan nation with, as well as a large African segment of the population, significant numbers of Arab, Persian and Indian-descended people, all descended from traders in the region. Because of this Zanj is very ethnically diverse and religiously tolerant. A major trading nation, Zanj also gains income from agriculture and some mining and industry. It has close political and economic ties with the Dakshina Nad. Zanj has a significant military, mainly divided between its army and air force, that guard its borders with its neighbours. The capital of Zanj is the city of Stone Town on the island of Zanzibar. The official language of Zanj is Swahili, though many other tongues are also spoken there. Its currency is the Zanj Rupee, which has roughly the same value as the Dakshina Nad Rupee. 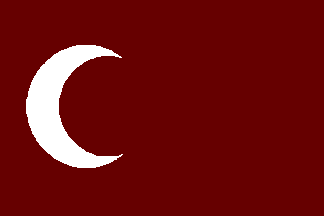 Its flag is a white crescent on a maroon field.